Living temporarily in public housing isn’t for everyone, but it was good enough for Supreme Court Justice Sonia Sotomayor, Florida Governor Rick Scott, Former Secretary of the Department of Homeland Security Tom Ridge, CEO of Starbucks Howard Schultz, the recently elected Mayor of London Sadiq Khan and world-famous musicians Jay-Z and the late-Elvis Presley. There are a lot of regular people and families living in public housing, too, who need access to education and encouragement to get out. As inspiration for such individuals and powerful food for thought for public policy makers, here are the stories of four Tampa residents who’ve lived in public housing, and then gone on to make an important contribution to the Tampa Bay community. These individuals represent the American dream – bringing their personal experience from humble beginnings to politics, law enforcement, business and, simply, becoming a homeowner and raising a family independently, setting an example for the next generation. All have learned something from their experience in public housing and value it deeply for the safety net and well-being it afforded their families and others. At the same time, without exception, each emphasizes that public housing should never be a permanent solution, but instead should function as designed: A temporary fix to give people in difficult situations a chance to regroup, find success and move on. 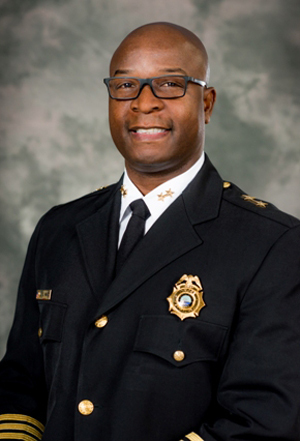 City of Tampa Police Chief Eric Ward, appointed by Mayor Bob Buckhorn last year, has served nearly 30 years in the police department and says his choice to become an officer was due in part to the positive interaction he had with police as a child in what was then the College Hill public housing project. 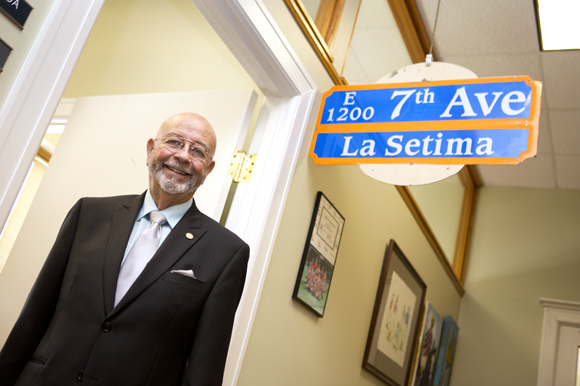 One of Tampa’s most experienced politicians, City Councilman Charlie Miranda, also grew up in public housing, and credits the connectivity of his neighborhood for opening the door to politics for him. Both men, though they grew up decades apart, have a tinge of nostalgia when they recall their childhoods living in public housing. They both stress the vital sense of community – and the importance of baseball - that was present in the neighborhoods and the pride people took in their homes. “A lot of great people are living in public housing for whatever reason, because of their circumstances,” says Ward. Born and raised in Tampa, Ward lived in the former College Hill public housing in East Tampa for several years of his childhood. Spurred by divorce, his mother needed housing assistance while raising her children and working two jobs. His old neighborhood, redeveloped and reopened in 2006 as Tampa Housing Authority’s Belmont Heights Estates, is now “giving people pride in where they are living,” he says. People there take care of their lawns, and it looks just like any other neighborhood. “As a kid, I had a great experience,” notes Ward. “Lots of friends … kids actually went outside and played with each other, developed social skills. There were no video games. I made friends that I still have today.” His sister, too, dedicated her career to law enforcement in serving 30 years in the Hillsborough County Sheriff’s Department, and a former public housing neighbor works for the FBI today. Ward’s mom was eventually able to buy a house and the family left the public housing system when he was still in school, though he doesn’t recall exactly when. Ward graduated from Hillsborough High School and became a police officer at age 21, later earning his degree in criminal justice from Saint Leo University. As the top cop in the City of Tampa Police Department, he now oversees more than 1,300 employees. “You learned so much from living with people who have so little. You learn how to share. It’s like that all the time: People help each other,” says Miranda of his experiences in public housing. Taxpayer-subsidized housing options are important, he says, “because it gives you a chance for opportunity. It helped me and … it helped thousands of others. Prominent doctors, prominent attorneys, prominent engineers came from there. I was honored to come from there.” Councilman Charlie Miranda purchased this Ybor street sign at an auction. It now hangs above his office door. Miranda lived most of his childhood and into young adulthood in public housing. “My father never had a house or a car, never!” explains Miranda. His father, a Cuban immigrant, always walked to his work as a sandwich maker and server at Barcelona Restaurant. His mother stayed at home raising three children. “Once in a while, she would iron for the outside world at 10 cents a shirt,” he says. Though they had little family income, they were inventive and “never lonely for adventure,” says Miranda, using limbs of former Christmas trees, for example, as hockey sticks and crushed cans for pucks, and playing street hockey in parking lots for hours. Baseball was also central to his community and upbringing, says Miranda. Neighborhood boys would play “seven to eight hours a day!” And it paid off when he and 11 others “somehow” had the rather incredible opportunity in December, 1954 to fly to Cuba and play against Cuban ball players for what was originally intended to be a three-game series, but turned into five games in three days. As a young man, Miranda got married and moved out of public housing, buying his first house for $6,500 in West Tampa. His career has included restaurant management, mobile home portfolio finance and thoroughbred horse racing. He went to college at age 37, obtaining his degree from The University of Tampa in criminology. In addition to serving four terms as City Councilman representing South and West Tampa, he now serves as Councilman for District 2, a city-wide seat. Ninety-one percent of families receiving public housing assistance are headed by women. In other words, there are a lot of single mothers that are struggling to raise children and make ends meet. In 2001, the Tampa Housing Authority implemented the Family Self-Sufficiency Program (FSS), a program designed to support eligible residents on their paths to true financial independence, not an easy task. The program is goal-based and provides education, training, case management and other supportive services to THA families. As residents’ incomes rise, so does their rent contribution. But through this program, participants are able to accumulate the difference in an interest-bearing escrow account, which they can access when they graduate. Usually an eligible family has five years to complete the program. More than 275 families have “graduated” since the program began in Tampa, and there are currently 412 participating families. Here are two examples of highly motivated mothers who successfully completed the FSS program and moved out of public housing. They are not only setting the example for their own children but perhaps their peers as well. Both women, neither of whom had good role models for responsibility growing up, expressed anxiety over telling their stories publicly but decided it was worth it in order to help someone else. McIntyre grew up Section 8 housing (federally subsidized) in Riverview Terrace, and “inherited” her voucher from her mother who left the system when she reached a certain income threshold and got married. Peaches had always been a good student and had received a full scholarship to Jacksonville University. Unfortunately, the attending university plans didn’t work out when she got pregnant at age 18 as a fresh graduate of Chamberlain High School. She started attending classes at Hillsborough Community College and substitute teaching, aiming to later transfer to the University of South Florida and become a teacher. But her situation was tough and McIntyre says she failed every class the first semester of college because she was “chasing after” her son’s father. The effort left her depressed and suicidal. After that, she says she recognized, “I’ve got to get focused, start loving me first.” She pulled herself together and got straight A’s the next semester. However, school was stalled again when her car broke down and she became pregnant with her second child. She realized she needed to work more to support her family and found a good job in customer service, and was able to start climbing the corporate ladder, albeit from the bottom rung. 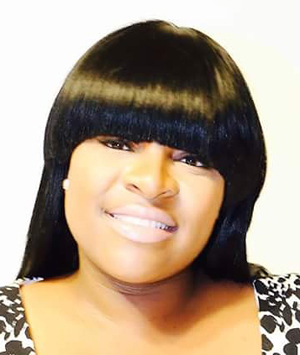 Yet her tenacity, natural business sense and polished customer relations skills brought her unexpected opportunities as friends started asking her to write their resumes and her sister hired her to handle customer relations for her business. Within months, McIntyre launched her own e-commerce lingerie site, Waist Language, handling the social media, marketing and customer service herself to enormous success. Self-sufficiency achieved, her business continues to thrive today. McIntyre says revenues reached over $1 million in 2015, and the company is on track to bring in close to $1.6 million in 2016. She has since also gotten her real estate license which she hopes to eventually be able to use to give back to the community she comes from. “I want to start a property management company for Section 8 properties, but only in desired areas – I want people to move to those areas,” says McIntyre. “That is my passion: they helped me so much and I want to help other women and men like me. McIntyre also wants to help train low-income black people and people with criminal histories to use their skills in entrepreneurship with worthwhile products. She applauds THA’s ENCORE! Tampa development that mixes high quality public housing with market rate housing because she feels that allowing children to see good solid examples of motivated parents, of families who prioritize work and education is what makes all the difference in getting out of the cycle of poverty. McIntyre is busy setting that example for her own children. She is gearing up to launch a new business called His Waist Language aimed at gay men, planning a trip to China to meet her suppliers in November and writing a book she plans to release later this month, entitled From Section 8 to Self Sufficiency: the Black Low Income Business Bible. Lawrence turned to the Tampa Housing Authority for help in 2005 while escaping a domestic violence situation. Her daughter was just four months old. She first contacted the Spring, a battered woman’s shelter, but realized that she would need more time to get back on her feet than the shelter Rosalie Lawrence.could offer. Because of the urgency of her situation and because she was applying to go to school full-time, she was accepted to live in The Arbors Housing Development in South Tampa. 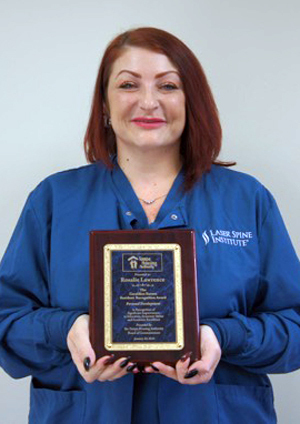 With this support and a Pell Grant, she was able to attend Erwin Technical College and graduated within a year, certified in surgical technology and immediately started working in the field. However, things weren’t perfect and she was laid off from her first job and had to swallow her pride and take a job at a fast-food restaurant. Around this time, she entered the THA Family Self-Sufficiency program. Nearly four years ago, she started working at Laser Spine Institute and was able to segue her education and skills to the sales team. She currently works as a patient care consultant. Her financial success, coupled with the training and knowledge she gained from the FSS program, including a homeowner workshop, and the escrow accumulation she earned, Lawrence was able to purchase her own home in December of last year. “I was always looking for a way out,” she says. The FSS program is about accountability, Lawrence says.